Elabram Systems Group, the preferred engineering and information technology manpower service provider in the world with the total of US $230 Million worth of projects since its inception in 1999 and that provides services from Manpower Solutions Outsourcing (MSO), Business Process Outsourcing (BPO), Knowledge Process Outsourcing (KPO) and Network Planning & Optimization (NPO) and offices in Indonesia, Thailand, Singapore, Philippines and Malaysia relaunched their website http://www.elabram.com last Monday, August 8, 2016. The new website features an easy to navigate drop down menu and a user friendly page for job seekers. 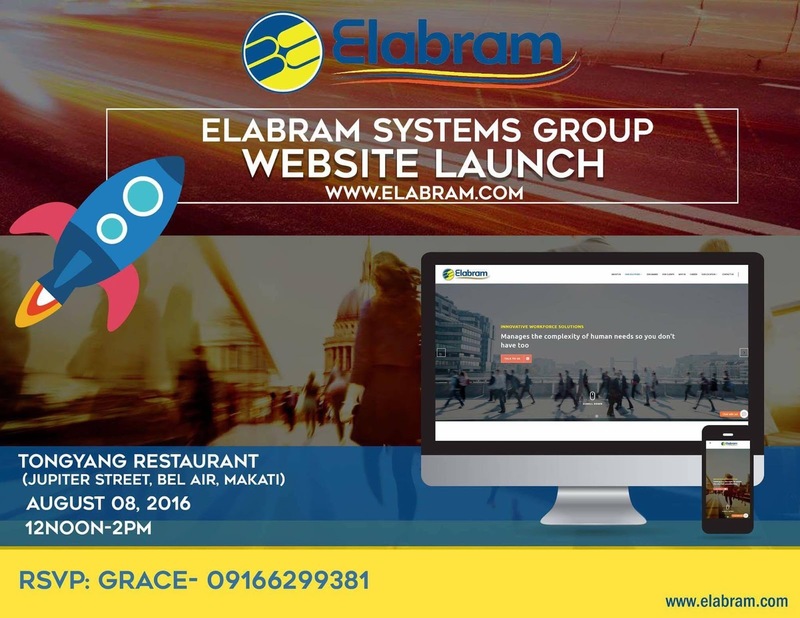 The objective of Elabram Systems Group is to help more the applicants find their dream careers and to make it easier for the employers to find their right talents from more than 200 thousand pool of manpower from the company's data base. Award winning entrepreneurs from Malaysia and Indonesia, Mikel Yaw is the Group Managing Director of Elabram Systems Group and Sunny Yaw, the Deputy Group Managing Director, both won multiple awards already that includes Fast Moving Companies Award- Golden Bull, Entrepreneur of the Year- Entrepreneurship. Mikel is coming to the Philippines on September 16, 2016 as Enterprise Asia and Outstanding Award of the Year in Indonesia- Asia Pacific presenter and as one of the panelists under "Asia HR Expo: The Digital Talent Acquisition" because he believes in the power of information dissemination online with the use of social media and websites. The company is also very active in helping the applicants find their right career choices thus yearly participating at CommunicAsia and for this year at CommunicIndonesia on August 31 to September 3, 2016 in Jakarta, Indonesia, and inviting everyone to visit them at booth # 130. Elabram Systems Group is 6000 strong globally. For more information, contact enquirers@elabram.com, mariagracia.n@elabram.com or check the website at http://www.elabram.com. The company is hiring 200 manpower weekly for the biggest organizations in the world.